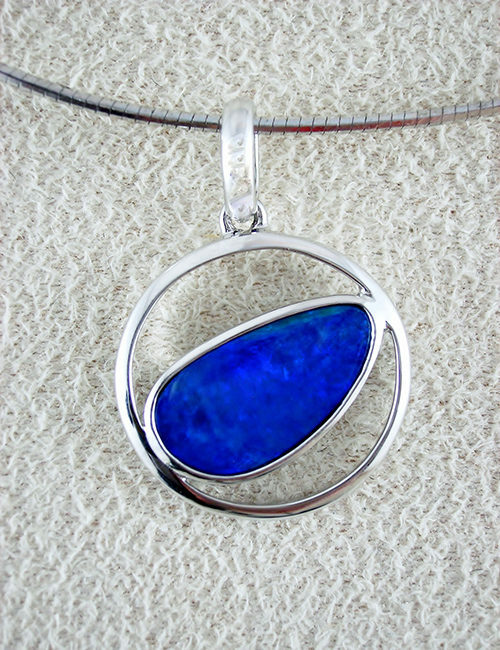 A unique pendant design with a solid boulder opal set with 2 diamonds in 18ct yellow gold. The opal shimmers turquoise and aqua colours with hints of pink, orange & gold. 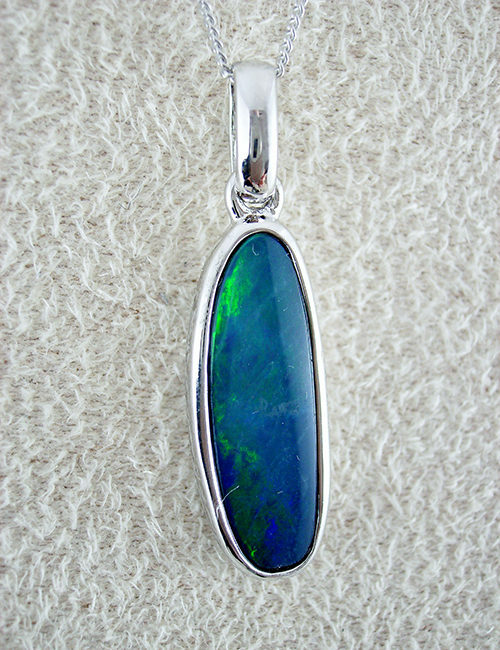 The pendant measures 20mm in entire length, with the opal alone measuring 15mm x 15mm long and at the widest point. A stunning piece of jewellery. The opal weight is 7.37ct, gold 1.70 grams and diamonds ….0.07 ct.